Approaching Mt. Hamilton. 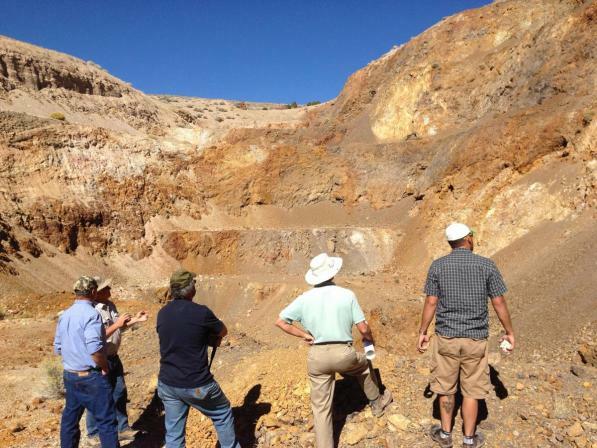 You can see the historic workings of the Seligman open pit. The road that is cut into Mt. 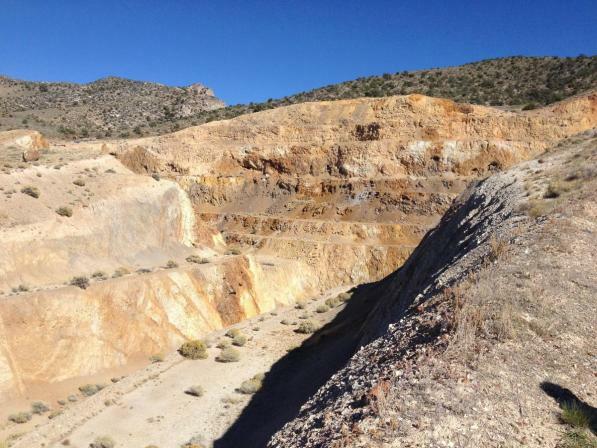 Hamilton to travel to the Centennial gold deposit from the Seligman historic open pit mine. 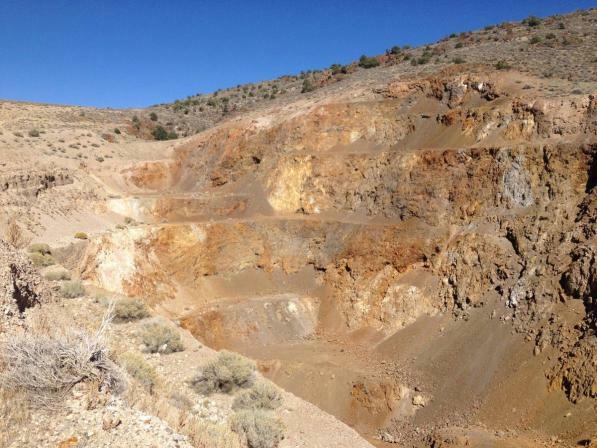 Seligman open pit that previously produced gold. You can see the dark red areas within the rock walls that contain the microscopic gold. This picture clearly show how the precious metals bearing fluids under enormous pressure were pushed into every nook and cranny within the rock. Some areas had thin narrow veins while other areas were much wider, like the dark red section in the middle. This picture shows how the precious metals bearing fluids started to level out as they got closer to the surface. Imagine if you couldn't see this and you had a drill hole with so many intersections. It really opens up your understanding on how economic deposits are formed. In addition to the narrow veins, look at the really nice section (dark red) towards the bottom right of the picture. 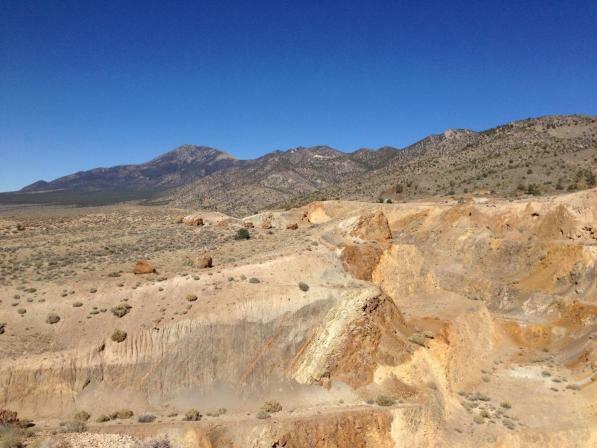 View from where the Centennial open pit on Mt. Hamilton will commence construction. The flat area below in the valley is where the heap leach beds will be located. 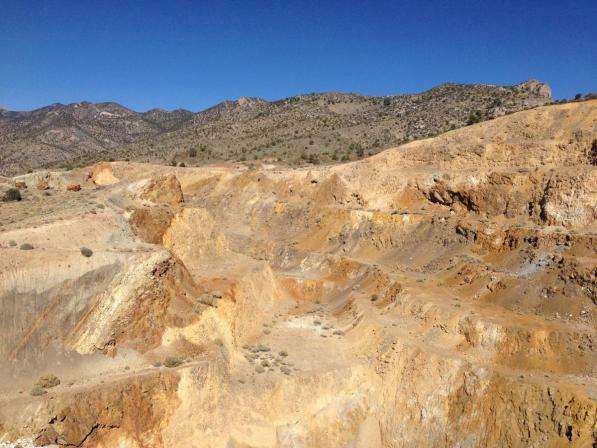 View from Centennial open pit looking south. 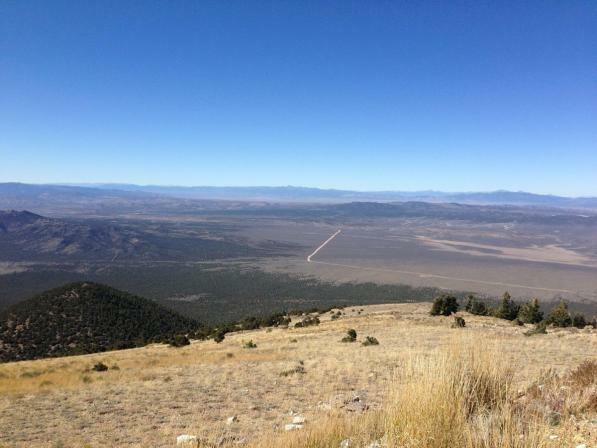 Looking again from the location of the Centennial open pit that will be built on Mt. Hamilton. 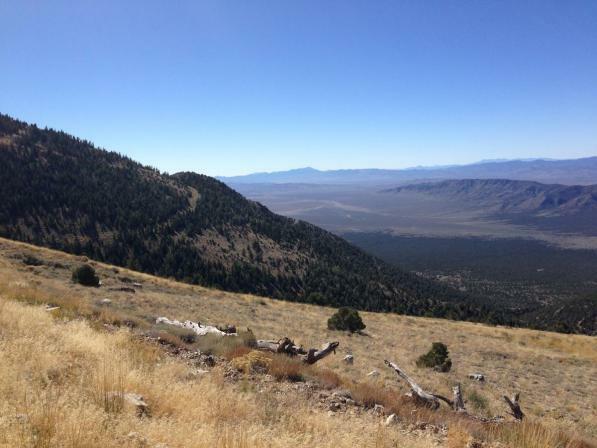 You can see all the surrounding terrain in the area. 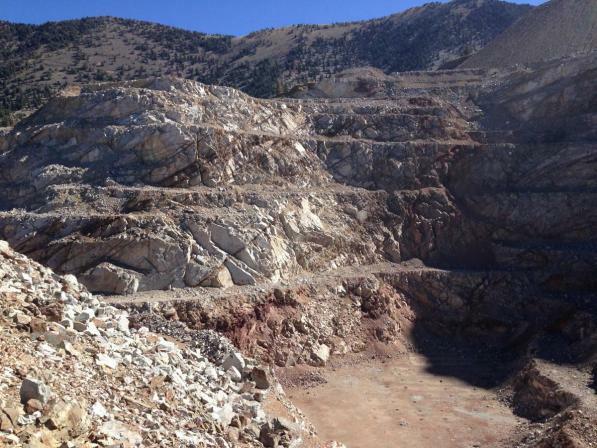 This is the center of the Centennial open pit that will be built. 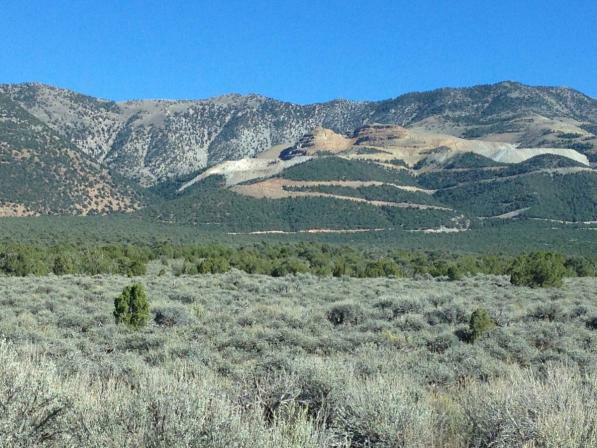 Eventually I believe more mineralization will be found that will essentially take most of the mountain. Greg with the geological team and the operations people from our partner Solitario (mine operator). One of five historic open pits on the Green Springs project. Again you can clearly see where the red and orange stain is from the precious metals bearing fluids event that created the economic gold deposit. This gold went right to the surface which makes it very economic to mine. Greg with the geological team and CEO Trey Wisser from Ely Gold looking at the maps at the Green Springs project. You can see from this picture how easy it would be to mine here. 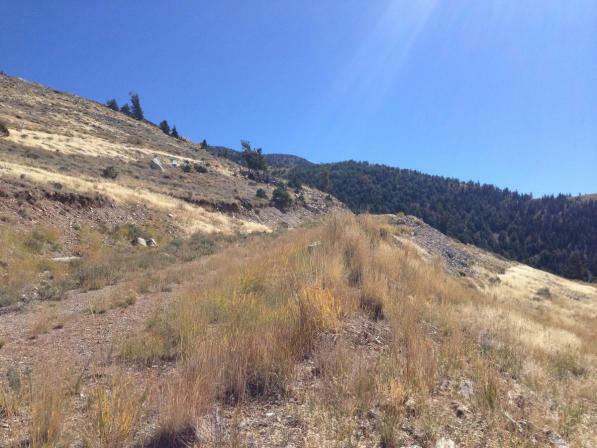 The topography is very easy for driving right up and building open pits against the hill. Geologist John Cox who discovered Green Springs and put it into production showing us on the maps where the best places would be for additonal gold ounces. Geologist John Cox and John Zimnerman in the safari hats talking about the potential of the area. A great shot I took showing the angle of the mineralization against the rock wall. All the dark red, rust, and orange stained rock contains microscopic gold. There is no visible gold with the naked eye on this project. John Cox explaining how someone needs to drill the areas below the bottom of the open pits into the pilot shale where the group agreed could contain the highest gold values and significantly more ounces. You can drive right down into the bottom of all the open pits at Green Springs. 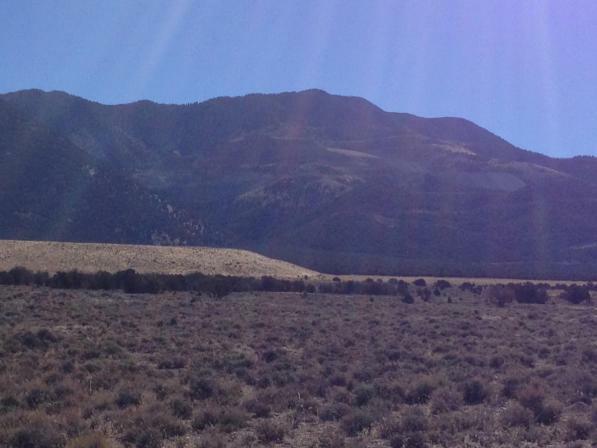 Costs for drilling and development would be minimal with little damage to the enviornment. Looking from a good vantage point into the largest of the open pits at Green Springs. 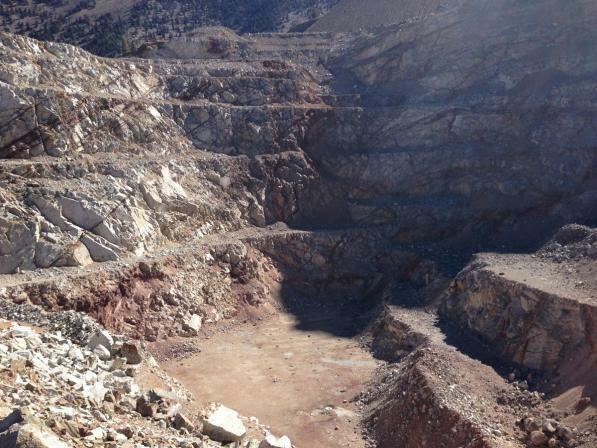 The access road that was built into the open pit. You can see where the precious metals bearing dark orange rocks begin on the wall on the left. 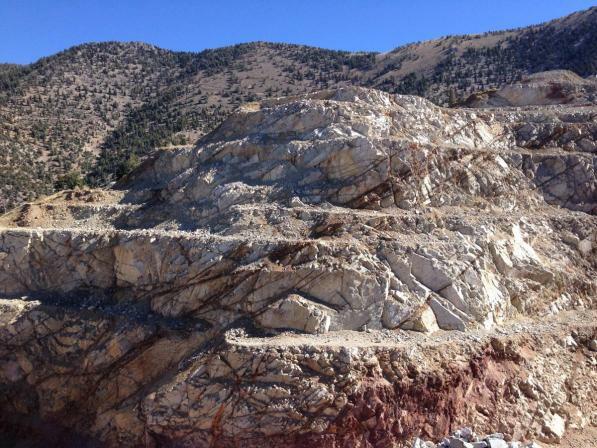 This part of the mineralization is still there and probably goes to the left for another kilometer or so. This easily could be mined at very good grades since it is so close to the surface and goes down all the way to the pilot shale. Looking at the same open pit but from a different vantage point. 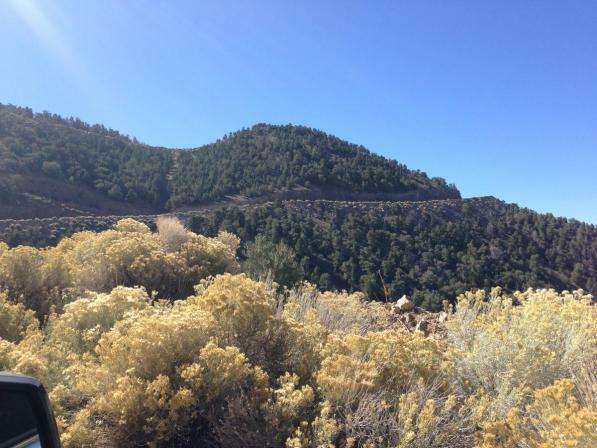 This mineralization continues along the mountain for at least another kilometer. Again, look at all the stained rock from the precious metal fluids event. 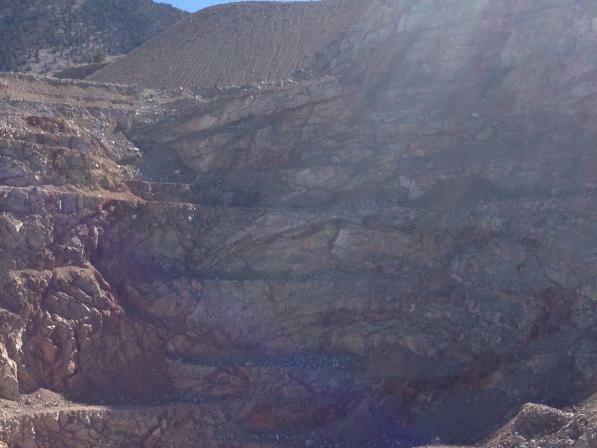 Better view showing that this open pit could be extended for quite a ways along this mountian. 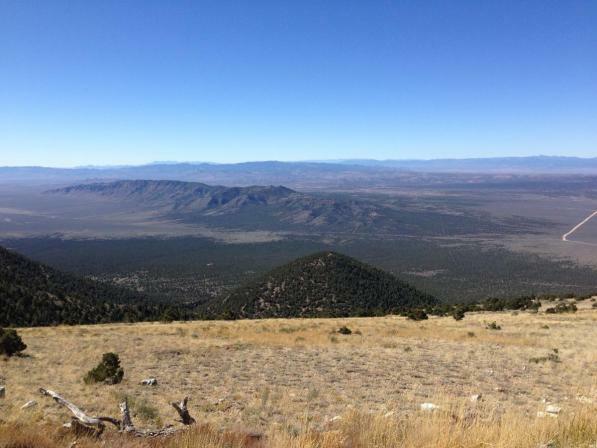 As we drove back to Ely this is a picture I took from the hightway of the Mt. Hamilton porject. We couldn't have asked for a better day of weather. Mt. Hamilton with Cathedral rock in the center of the Seligman pit.